Many years ago I had became very interested in the Geneva Bible. It’s actually the first Bible translation that includes study notes from early reformers like John Calvin. It’s quite a landmark Bible of it’s time and it’s actually the Bible that was first brought with the Pilgrims when they settled in the U.S. The original is very difficult to read, I have a facsimile reproduction that’s tremendously huge, and very difficult to read the old english lettering and characters and the typography is aged. Now there’s a Geneva Bible that has had all the text updated to modern lettering while retaining all the original words. I haven’t seen it in person but the price is definitely good for such an important Bible in the history of the church. I still enjoy taking out the behemoth version that I own and reading it every once in a while. My parents have tried long and hard to resolve their identities as they enter those golden years. They drive around in a new Corvette with no room for kids. They hang out a place called “The Moose Lodge”. And now they have changed the way they dress. Yes, it is a little embarrassing to be seen in public. Especially when my dad pulls the trigger on that toy gun and it makes a fake machine gun sound.. Everyone looks! The truth is, they won an award for best couple or something at a Halloween costume contest. 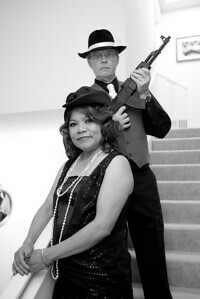 Click here to see all the mafia photos. 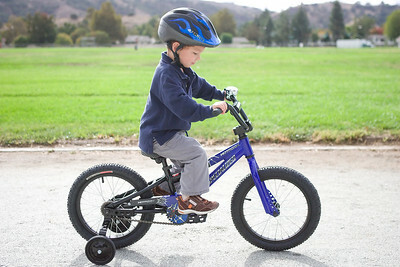 My dream is to one day go mountain biking with my son. 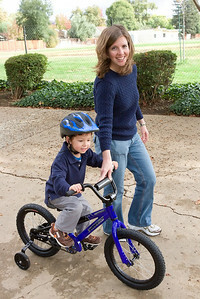 And now, we are one step closer to that dream as Matthew is now riding his first bike. We bought this bike as an early Christmas present. It’s basically the one big item that he would get him Christmas. We didn’t get one for his birthday because he wasn’t really ready for it, and we figure now he’s ready. Claire’s a lot of fun to push because she looks back and gives that cute smile to show that she’s really enjoying the ride. She doesn’t care for the helmet so much though. We eventually just decided to let her ride without it since the seat has straps that keep her from falling. At first, helping Matthew ride is a little hard on our backs. You can see Jenn reaching over and holding the handlebars. Matthew was having a mild panic if we let go. I think he was mainly panicked because he realized that he didn’t know how to use the breaks. So we focused on helping him learn to use the breaks. Which basically amounted to me pushing him to experience going fast. I would then encourage and later yell at him to stop, peddle backwards. Then I would reach down and manually push his foot backwards so that he associated and experienced stopping with the backwards peddle motion. He somewhat understood during our training sessions, but was still mostly panicking. 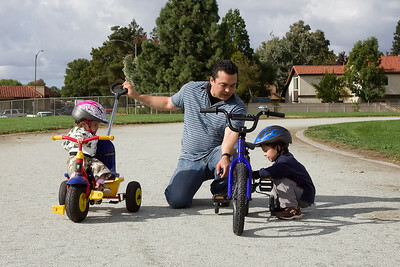 Suddenly, one day without my coaching, he pushed the peddles backwards hard, stopping on a dime. And I’ve seen him use the breaks several times to avoid running into things. Now he loves using the breaks so much that we have to ask him to stop using the breaks! 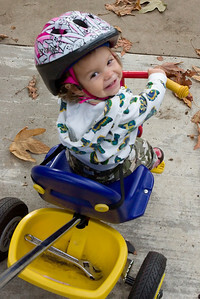 When I first bought the bike it needed some minor adjustments to the seat height and the training wheels. In the photo above, Matthew is stopping to “pretend” fix things. I think on this adventure we even brought the wrench because Matthew wanted to be prepared to fix the bike along the way. Don’t tell him, but actually, there was nothing wrong with it. Ssshhh! We had originally planned for Matthew to be a construction worker, but when Jenn was at Old Navy looking at costumes, he saw the mouse costume and became enthusiastic about being a mouse. It’s funny how sometimes with kids, the most fun is when you don’t try to plan things and just let the fun happen. 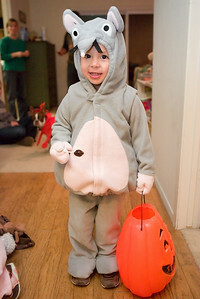 In this, case Matthew had lots of fun being a mouse, something we didn’t have to plan for at all. 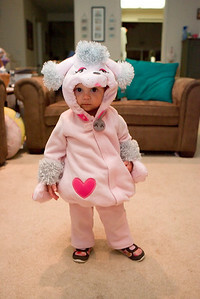 And here’s Claire as a pink poodle. 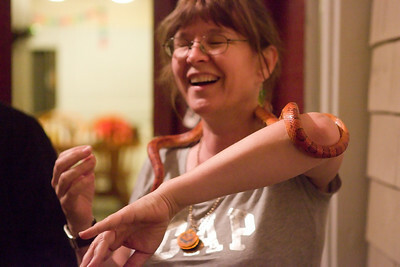 One of our neighbors was very scary with her real live snake around her neck. 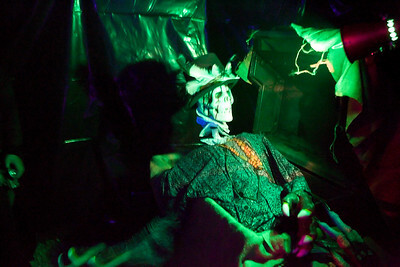 Another neighbor had setup his sideyard as a haunted house experience, complete with animated skeletons and scary sounds. It was the most crowded house on the block when we first arrived, with literally around 50 people flocking around the front and girls were screaming with terror. 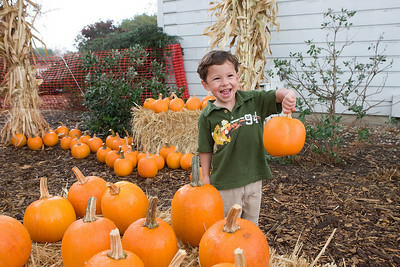 We visited 2 pumpkin patches this year. One was actually more of a fall harvest at a small farm that something of a lone ranger. Prusch Farm is not really a farm. It functions more like a playground, petting zoo, community garden, event place. We ran into some neighbors that we had just met the week before and were later invited to their house for a birthday party. 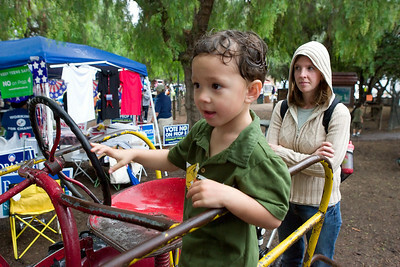 The harvest festival was fun although we did have to hide out from the rain at times. Matthew had a chance to fulfill his tractor fantasies. 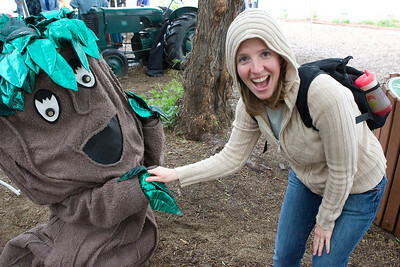 Did you know Jenn is shortly becoming a tree hugger? For now, she’s a tree shaker. I think Matthew looked at practically every single pumpkin in this patch and eventually I had to coax him to pick one and get it over with. Yes, it was still fun and a lesson in patience. We also got to pet some cute bunnies. The same type of bunnies from last years festival. 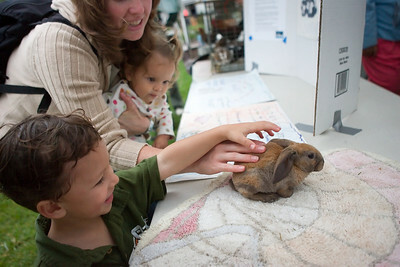 The 4-H club brought these T-Rex bunnies that are so unbelievably soft. There’s more photos of the petting zoo and Jenn standing in the rain. Click Here to See All the Festival Photos.